Strengthen and Fortify, One Strand at a Time! Although we’re finally escaping the harsh winter months, our hair is still feeling the bitter cold. 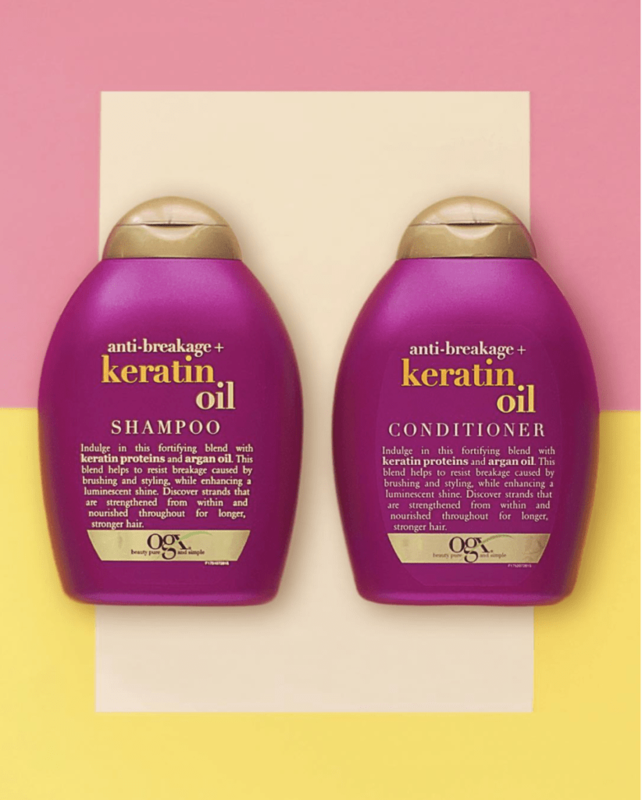 Weather conditions can have a huge affect on the quality of you hair, but thankfully, OGX have the perfect rescue kit for your locks with the Anti-Breakage Keratin Oil Collection. As we creep into Spring, the Keratin Oil Collection is designed to strengthen the tensil of the strand by fortifying it with hydrolyzed keratin oil. Indulgingly rich, fortifying keratin proteins reinforce each strand, increasing elasticity to resist breakage caused by brushing and styling. The collection incorporates argan oil which conditions and smoothes, creating a luminescent shine, while strengthening and nourishing for longer, stronger hair. The Anti-Breakage Keratin Oil Shampoo and Conditioner is a dynamic duo that replenishes hair’s keratin proteins which ultimately strengthens hair. 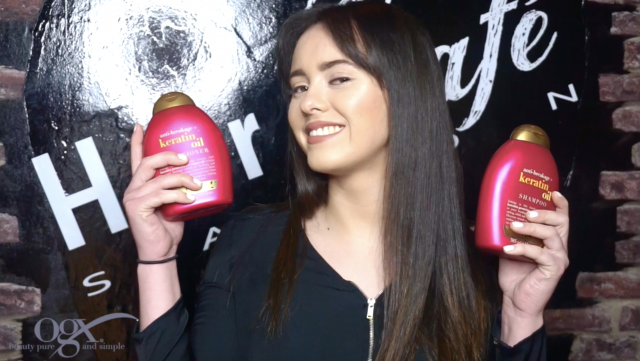 The keratin oil increases hair’s elasticity helping to reduce breakage and split ends, while the argan oil adds shine and resilience. The shampoo and conditioner are priced at €9.99 each. 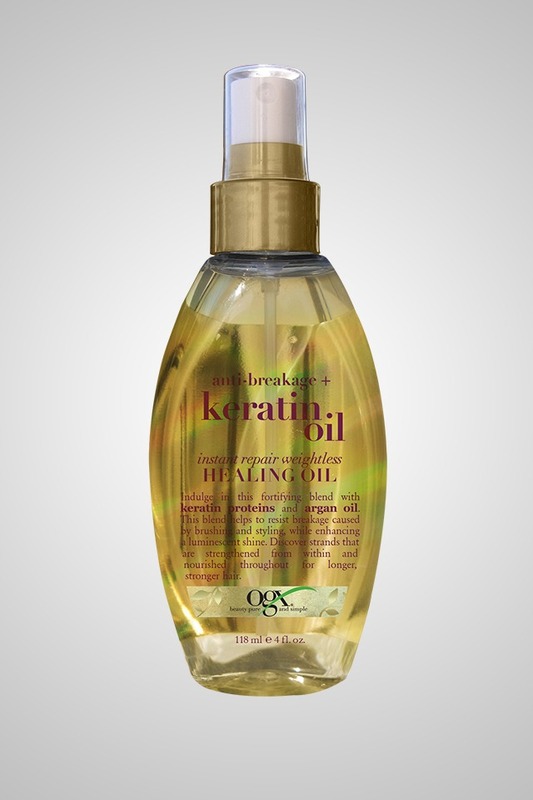 Strengthen hair from root to tip with the Anti-Breakage Keratin Oil Instant Repair Weightless Healing Oil. 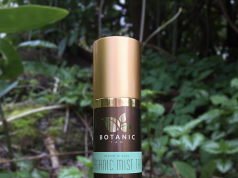 This leave-in weightless oil mist instantly adds shine and hydration to dull, damaged hair. Containing both hydrolyzed keratin oil and argan oil for the ultimate anti breakage formula, hair becomes stronger and healthier with each use. This product retails at €9.99. Seriously, check out that shine?! 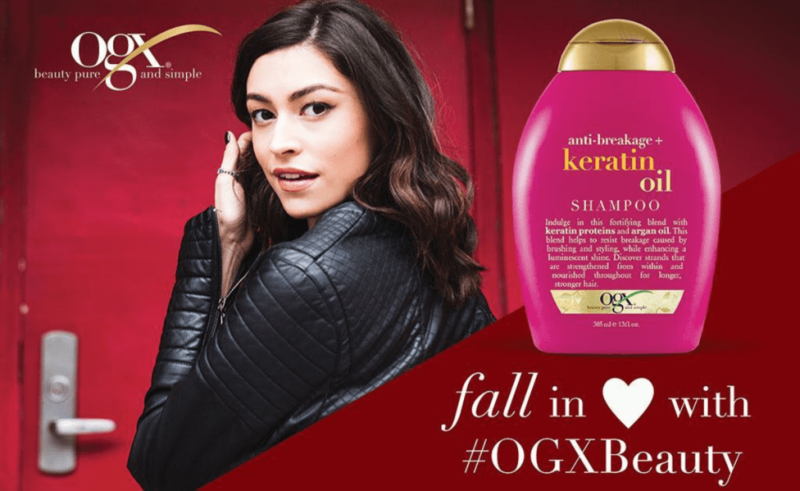 OGX as a brand boast salon-inspired formulas that are paraben and SLS-free, which include exotic active ingredients for an indulgent experience that invigorates the senses. As well as that, OGX products are not tested on animals and are packaged in eco-friendly bottles manufactured from materials containing recycled postconsumer resin. OGX is available from €9.99 in Sam McCauleys and leading Irish Pharmacies nationwide, as well as Dunnes Stores.